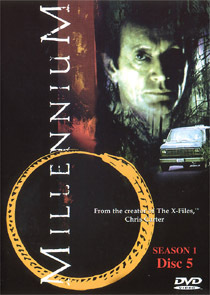 You won’t find this Millennium DVD box set in any high street retailer, and you won’t find it in stock at any of the usual mail-order outlets. 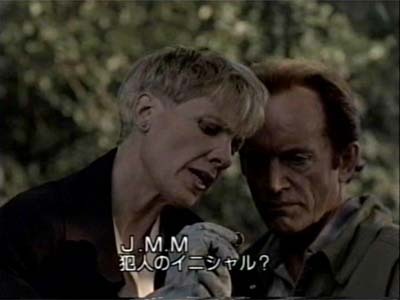 The set, which contains twenty of the twenty-two episodes of the first season, spread across five discs, is apparently from Japan. With no tangible sign that the series will receive a UK or US release, dedicated fans will probably be happy enough to get episodes on a compact, convenient format. There are some significant drawbacks, however, so people with a more casual interest are advised to consider carefully. 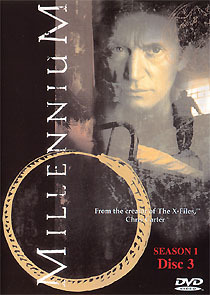 The set is missing two episodes: Lamentation and Covenant. Lamentation is one of the highlights of the season, and arguably one of the most powerful pieces of genre television ever screened. It also contains a pivotal event that has repercussions for the remaining episodes of the season, so its omission is surprising and very disappointing. The picture quality is mediocre, and exhibits none of the skill usually employed in a professional transfer. The discs are coded at a constant - woefully low! - bitrate, causing frequent MPEG artefacts (often referred to as “tiling”). This is unsurprising, since these are single-layer discs (legitimate releases almost always use dual-layer discs for this much material). The discs appear to have been sourced from an analogue source (possibly the legit Japanese laserdisc box set, or, more likely, the official Japanese VHS release), and are wreathed in RF noise. 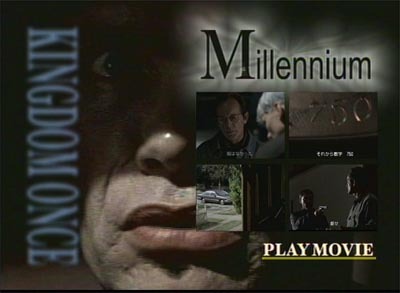 They compare favourably to the official PAL VHS recordings, unless you think that you’d prefer the low-resolution of tape to the artefacts that plague the sharper DVD versions. Audio quality is serviceable, and unremarkable. There seems to be no doubt that this is an unofficial (bootleg) release. 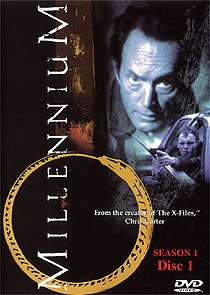 Aside from an acknowledgement to “The creator of The X-Files, Chris Carter”, there are no credits of any kind. Most official releases at least credit the writer and director of each episode. There are no studio logo’s, and no copyright notice on the packaging (unless it’s in Japanese!) Fox’s Japanese Dark Angel box sets, for example, look much more like official product. Would the studio release a box set, and not release all the episodes, even if it meant adding a sixth disc? Although nicely designed, most of the graphics lack the quality (or ‘bite’) that you expect in a product that would have studio-provided source materials. The discs allegedly have Dolby Digital audio, and are presented in “16:9 LB” format, neither of which is true. 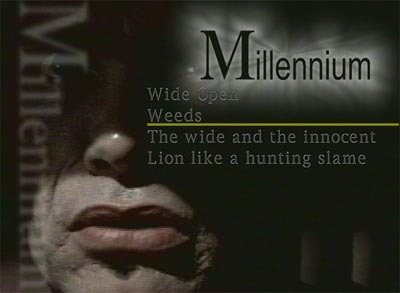 The discs are coded for “ALL” regions – which would be an unnecessary measure for a box set “strictly and absolutely” produced for Japanese consumption. There’s no Japanese text on the spine or front covers of the discs, perhaps indicating that they were designed for an English-speaking customer. There are several glaring errors on the menus (see example screengrabs below - that should be Loin Like a Hunting Flame, The Wild and the Innocent and Kingdom Come). Note that the menu refers to The Wild and the Innocent. 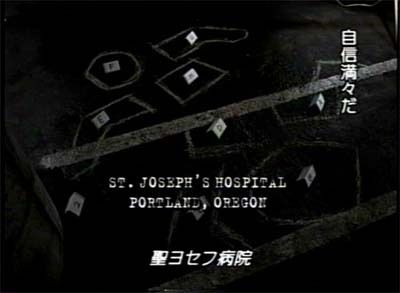 In fact, in Japan this episode was called Angel. Until Fox finally gets around to releasing a proper box set this set will fill a gap. The set, which crops up on Ebay with suspicious regularity, can usually be obtained for a reasonable price (generally about £60, including P&P). With thanks to J. Lopez.